WA: Q&A How are unit entitlements calculated? Vote per unit owned? You are here: Home / Committee Concerns / Committee Concerns WA / WA: Q&A How are unit entitlements calculated? Vote per unit owned? This article about how unit entitlements are calculated has been supplied by Strata Community Association WA. Question: In a commercial strata situation, how are unit entitlements calculated? Is it a vote per unit owned or a vote per owner? How are unit entitlements calculated? In a commercial strata situation, how many votes does each owner get? Is it a vote per unit owned or a vote per owner? I have a property in Western Australia & in our strata there is a majority ownership of units by one business entity & the two owners act as though our opinions & expectations do not matter. There are a number of owner operators but the guys who are majority owners are not operators. Any clarity on this point you could help with would be very greatly appreciated. Answer: Each lot proprietor has one vote when the vote is taken on a show of hands. If a poll vote is called, each lot proprietor has the same number of votes as the unit entitlements of their lot. The Strata Titles Act 1985 (WA) (the Act) does not differentiate between commercial and residential strata schemes, both are subject to the same provisions. The Schedule 1 by-laws deal with votes of proprietors. By-laws can, of course, be added to, amended and repealed by the strata company (as long as the changes are not inconsistent with the Act). 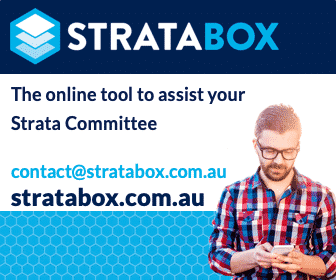 Therefore, the first step would be to check if any by-law amendments have been registered for your strata scheme (registered amendments can be located in the Schedule of Encumbrances included in the strata plan). (1) On a show of hands each proprietor has one vote. (2) On a poll the proprietors have the same number of votes as the unit entitlements of their respective lots. (3) On a show of hands or on a poll votes may be given either personally or by duly appointed proxy. (4) An instrument appointing a proxy shall be in writing under the hand of the appointer or his attorney and may be either general or for a particular meeting. (5) A proxy need not be a proprietor. (6) Except in cases whereby or under the Act a unanimous resolution or a resolution without dissent is required, no proprietor is entitled to vote at any general meeting unless all contributions payable in respect of his lot have been duly paid and any other moneys recoverable under the Act by the strata company from him at the date of the notice given to proprietors of the meeting have been duly paid before the commencement of the meeting. (7) Co‑proprietors may vote by proxy jointly appointed by them and in the absence of such a proxy are not entitled to vote on a show of hands, except when the unanimous resolution of proprietors is required by the Act. (8) On any poll each co‑proprietor is entitled to such part of the vote applicable to a lot as is proportionate to his interest in the lot. (9) The joint proxy (if any) on a poll has a vote proportionate to the interests in the lot of such of the joint proprietors as do not vote personally or by individual proxy. If a poll vote is called, each lot proprietor has the same number of votes as the unit entitlements of their lot. Therefore, if your unit entitlement is 10 and the total unit entitlement for the scheme is 100, you would have 10 of 100 votes. Schedule 1 by-law 12 provides for any proprietor present in person or by proxy to demand a poll vote. This is typically used if an owner or a group of owners know their unit entitlement will give them greater voting power than the one vote per lot method. For example, the unit entitlements for three penthouses in a seven-lot scheme may outweigh the unit entitlements for the other four, lower value lots. It is worthwhile familiarising yourself with this by-law. (1) All business shall be deemed special that is transacted at an annual general meeting, with the exception of the consideration of accounts and election of members to the council, or at an extraordinary general meeting. (2) Except as otherwise provided in these by‑laws, no business may be transacted at any general meeting unless a quorum of members is present at the time when the meeting proceeds to business. (3) One‑half of the persons entitled to vote present in person or by duly appointed proxy constitutes a quorum. (4) If within half an hour from the time appointed for a general meeting a quorum is not present, the meeting, if convened upon the requisition of proprietors, shall be dissolved and in any other case it shall stand adjourned to the same day in the next week at the same place and time and if at the adjourned meeting a quorum is not present within half an hour from the time appointed for the meeting, the persons entitled to vote and present constitute a quorum. (4a) Sub‑bylaws (3) and (4) of this by‑law do not apply to a general meeting of a strata company referred to in section 50B. (5) The chairman, may with the consent of the meeting, adjourn any general meeting from time to time and from place to place but no business may be transacted at an adjourned meeting other than the business left unfinished at the meeting from which the adjournment took place. (6) Except where otherwise required by or under the Act, resolutions may be passed at a general meeting by a simple majority vote. (7) At any general meeting a resolution by the vote of the meeting shall be decided on a show of hands unless a poll is demanded by any proprietor present in person or by proxy. (8) Unless a poll be so demanded a declaration by the chairman that a resolution has on the show of hands been carried is conclusive evidence of the fact without proof of the number or proportion of votes recorded in favour of or against such resolution. (9) A demand for a poll may be withdrawn. (10) A poll if demanded shall be taken in such manner as the chairman thinks fit and the result of the poll shall be deemed to be the resolution of the meeting at which such poll was demanded. (11) In the case of equality in the votes whether on a show of hands or on a poll, the question is determined in the negative. The above applies to voting at general meetings, however, it is also important to note that the council of owners is empowered to fulfil the day to day duties and obligations of the strata company subject to any restrictions imposed by the Act or by the strata company at general meetings. Schedule 1 by-law 4 dictates that a person who owns more than one lot shall be deemed to be one proprietor. Therefore, a person or entity that owns multiple lots in the same name can still only fill one position on the council. (5) In determining the number of proprietors for the purposes of this by‑law, co‑proprietors of a lot or more than one lot shall be deemed to be one proprietor and a person who owns more than one lot shall also be deemed to be one proprietor. This may provide an avenue for you and the other owners to have some control over the day to day running of the scheme, noting that the council must act in accordance with any restrictions imposed by the Act or by the strata company at general meetings (for example, within the approved budget). Disclaimer: The above information is provided solely for general information purposes and should not be taken as constituting legal advice or advice that is specific to your particular circumstances. You may consider seeking independent legal advice to see if the information provided relates to your circumstances. Strata Community Association WA (SCA WA) is the peak industry body representing people who own and work with strata property in Western Australia by providing education and advocacy. Our members consist of strata lot owners, council of owners’ members, professional Strata Managers and associated service providers. Strata is a complex area of the property industry and it can be difficult to navigate without having access to professional assistance. To support our members, we offer a member-only Advice Line that provides general advice, information and guidance. Join SCA WA today from only $60* per annum to gain access to the Advice Line and other member benefits. Contact us to find out more! Q&A How Does Proxy Voting Work in Western Australia? You will need to check the plan of subdivision. Some developers have been known to give one unit (which they own) the lowest amount possible (sometimes even for the biggest space) – which means they pay the least in owners corporation fees. It should be equitable across the board. I am hoping this is regulated by government.